We love WordPress and the reasons are simple. When it comes to tools, resources, and flexibility no other content management system can equal the power of WordPress for business. Unfortunately though one of the most common things missed in web development is choosing a good hosting service. A few years in we noticed we were fixing more poorly set up WordPress sites that used customized themes that were not set up properly, and unlicensed themes and plugins that could not be updated. This creates security problems and often would prevent peoples websites from functioning correctly after a couple of years. Finding a developer to build a WordPress website is easy! Finding a WordPress developer you can trust, that is where things get a little more complicated. What makes our hosting different from most others is that we do not use shared hosting services. While all shared hosting companies tell you the services are unlimited it’s just not true. We offer a variety of hosting services to fit your needs and we let you choose a plan that works for you. Website hosting can be very confusing and not all hosting companies are the same. 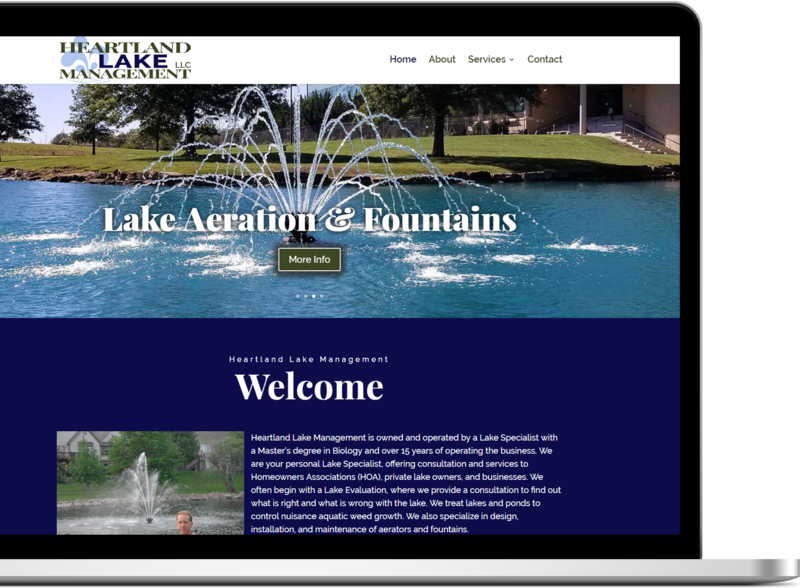 We eliminate the headaches and take care of the confusing parts that can make having a website for your business frustrating. A Better Way to Host Websites. What you need to know about our hosting. We offer several different levels of hosting. This gives you the flexibility to choose the services you need. We host all of our websites on a VPS. This allows us to manage the resources for our customers and ensure great hosting services. While almost all hosting companies will tell you they are unlimited, it doesn’t take much research to learn that isn’t true. Shared hosting services are just that shared services. This means the other websites on your server are utilizing the same resources. We tailor our hosting to maximize the performance of our client’s websites and we don’t oversell are servers capacity. SSD or Solid State Drives are up to 20x faster than standard spinning hard drives. This means your website loads faster and preforms better. We provide extra security resources to protect the websites we host. You will not need expensive security tools to protect your site. Why? Because we pay for them. With our hosting, you are sharing in crowdsourced security tools that help your site run faster and safer on the web. While there is no 100% guarantee against hacking we utilize multiple layers of security protection to make sure your website is safe. A Distributed Denial of Service (DDoS) attack is an attempt to make a website unavailable by overwhelming it with traffic from multiple sources. We utilize licensed themes, plugins and security tools on all the websites we build. Unlike most developers, we make sure the tools used on your website are licensed and updated to ensure they function properly. You don’t have to worry about buying expensive licenses to update your website as long as we are hosting it. Theme and plugin licenses are not transferable. Includes everything from Get Managed plan plus. Includes everything from Get Searched plan. SiteFlip2 / Complete renovation of the website every 2 years.